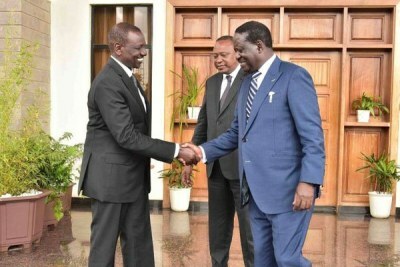 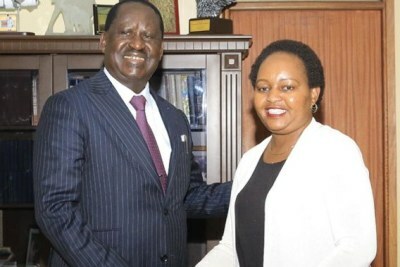 President Uhuru Kenyatta with his new "bestie" and former foe opposition leader Raila Odinga left many people speechless at Kisumu International Airport after they drove off into the "sunset" with a small security team. 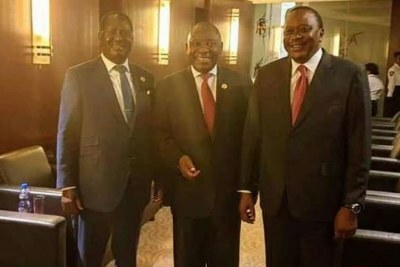 Since the March 9, 2018 handshake between the two, they have attended several functions together. 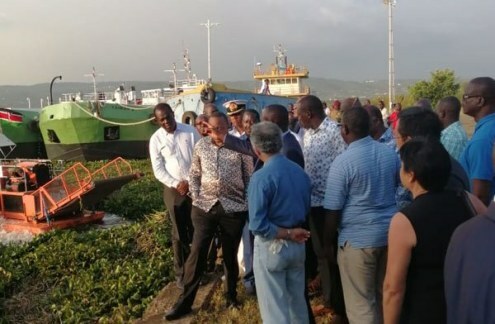 President Uhuru Kenyatta with ODM leader Raila Odinga and other officials during a tour of the Port of Kisumu. 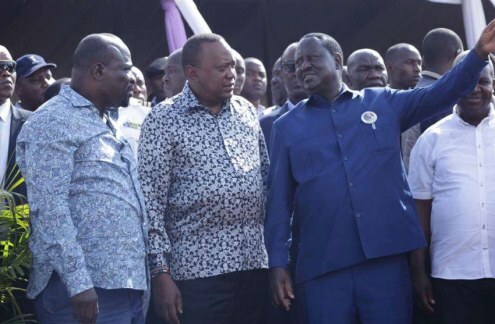 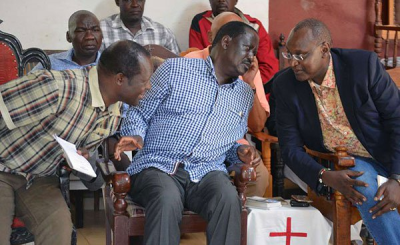 President Uhuru Kenyatta and ODM leader Raila Odinga in a conversation during the burial service of former Youth Enterprise Development Fund Chairman Bruce Odhiambo at Koru in Kisumu County. 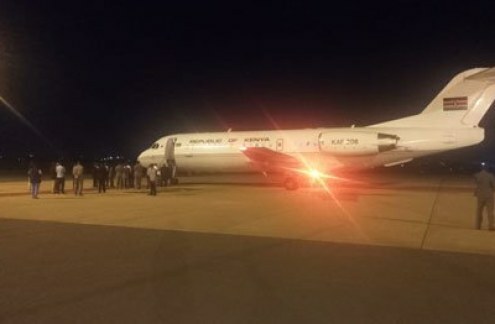 President Uhuru Kenyatta leaves the Kisumu International Airport for Nairobi.